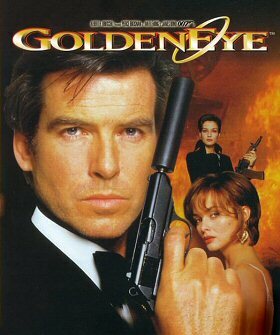 Pierce Brosnan, on his first mission as 007, quickly establishes himself as the best Bond since Sean Connery and makes a fetish out of the old-fashioned values of loyalty and patriotism. Director Martin Campbell provides a stunning chase between car and tank through the streets of St Petersburg. There are also notable Bond girls in the shape of Izabella Scorupco and assassin Famke Janssen, who kills by crushing her victims between her thighs. Thanks to `Gerard ` for the alert.